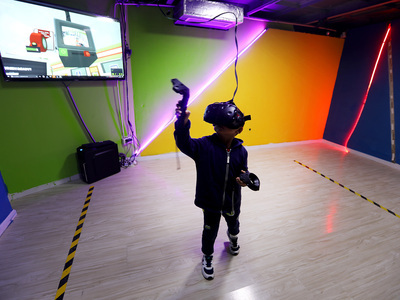 U.S. tech giant Microsoft on Thursday launched an incubator centering on artificial intelligence (AI) and virtual reality (VR) in Nanchang, East China's Jiangxi Province. China's VR market expanded 164 percent year on year to reach 16 billion yuan (2.36 billion U.S. dollars) in 2017, data showed. The market is likely to exceed 90 billion yuan (13.30 billion U.S. dollars) by 2020, according to the Ministry of Industry and Information Technology.